Can I Judge the Quality of My Tea by Taste Alone? 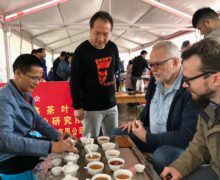 Paradoxically, taste is both the least important and most important elementwhen it comes to establishing the quality of a specialty tea. Taste is the least important element in that taste is, after all, dependent on the individual. What tastes bad to some tastes good to others. What Does the Aroma of My Tea Say About Its Quality? Why Does the Moisture Content of My Tea Leaves Matter? How Does the Way Tea Is Processed Impact Its Quality? How Does the Tea Maker Impact My Tea’s Quality? What Do the Genes of a Tea Bush Say About Quality Tea? How Does Origin Contribute to the Authentication of Tea? How Do the Plucking Standard and the Uniform Length of Tea Leaves Impact the Quality of a Tea? It has been twenty years since I first became obsessed with Chinese tea. It has not lost any of the magic pull for me throughout these years, in fact I am probably even more obsessed. Although I have had other obsessions in my life, Chinese tea is probably longest running one. I think it has to do with mysteries.Mysteries are always rooted in questions and problems to solve.